Darla Sue Dollman, B.A., M.F.A., is a freelance writer with 39 years combined experience as a journalist, author, photographer, and editor. "Nobody's interested in sweetness and light." These words, spoken by gossip columnist Hedda Hopper, aptly characterized the Hollywood social scene of the 1940s. 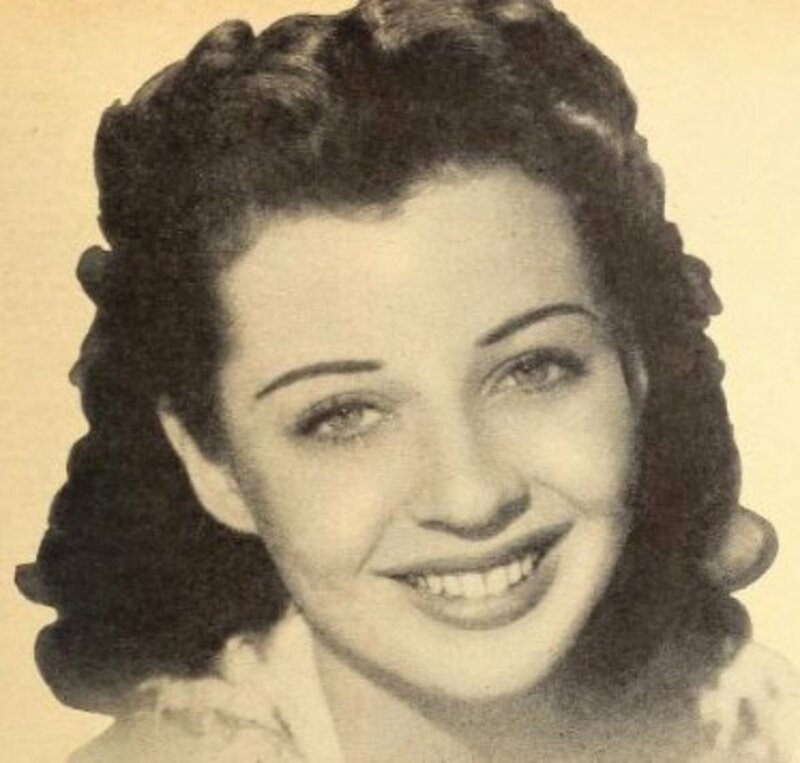 Unfortunately, many innocent and easily exploitable young women found their reputations destroyed by the public's insatiable appetite for real, or imagined, scandal, and Gail Russell was one of these women. 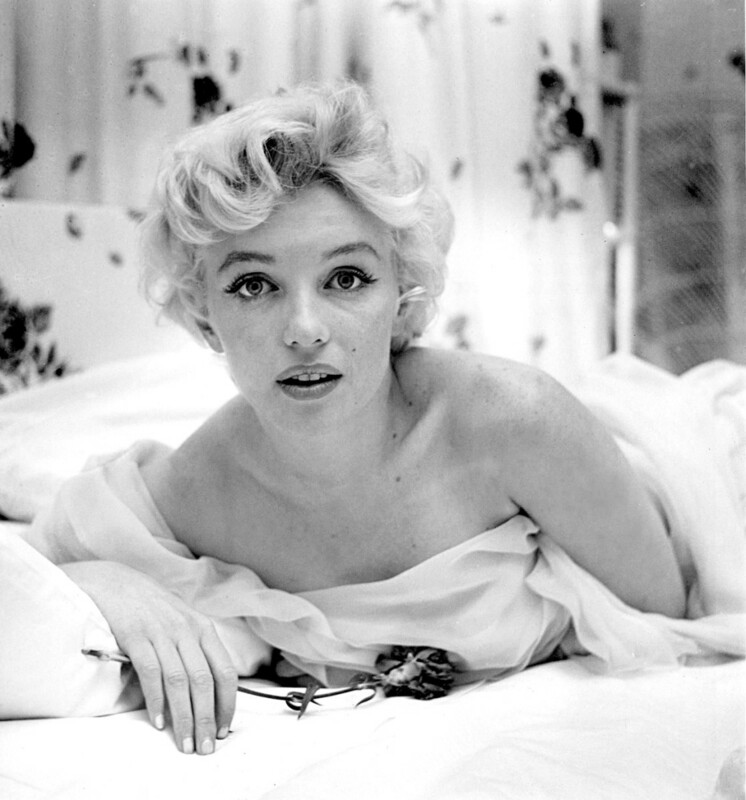 Her beauty was irresistible, combined with a shyness that made her appear angelic on the silver screen. Russell seduced her audience without knowledge or intent, but did she seduce one of the most powerful men in Hollywood? Gail Russell was shy, naive and stunningly beautiful when she started her Hollywood career in the early 1940s. 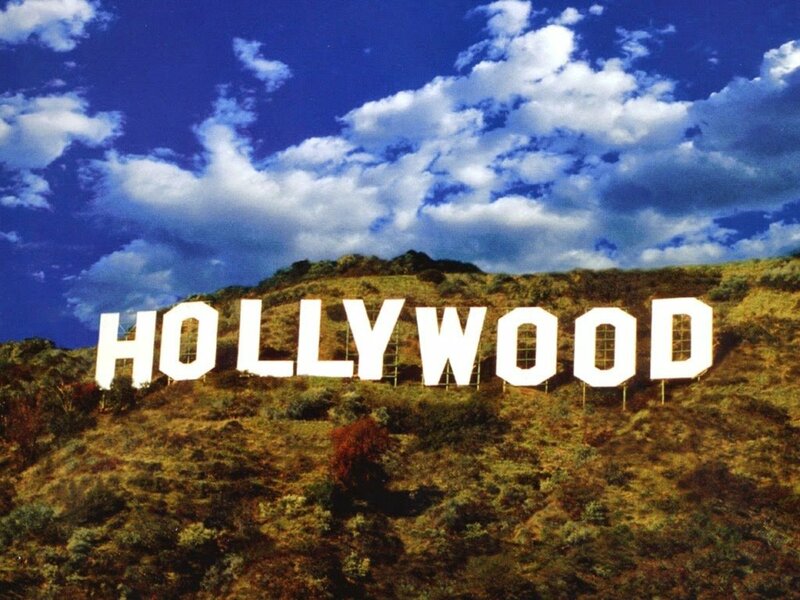 She was admittedly unprepared for the flashing cameras and crowds of fans that followed Hollywood stars, but this would be her life, sealed in a contract between her mother and Paramount Studios. Russell made her first film when she was 19-years-old. The following year, Russell appeared in three films. She costarred with Diana Lynn in Our Hearts Were Young and Gay, and the audience adored her. She also appeared in Lady in the Dark, which starred Ray Milland and was nominated for three Academy Awards. 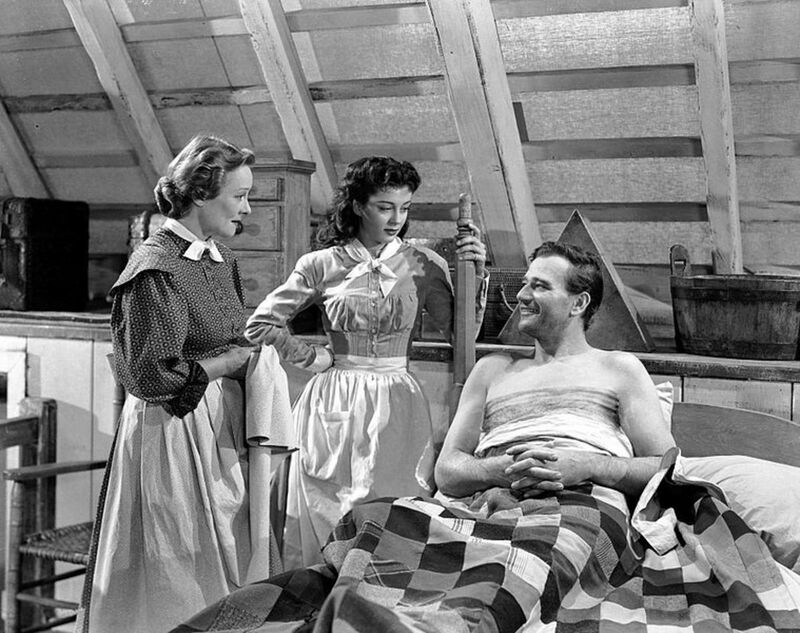 Russell's third movie, The Uninvited, was also nominated for an Academy Award. Russell was working with an acting coach, but this did little to ease her performance fears. In fact, her shyness seemed to transform during the filming of The Uninvited into pathological stage fright. 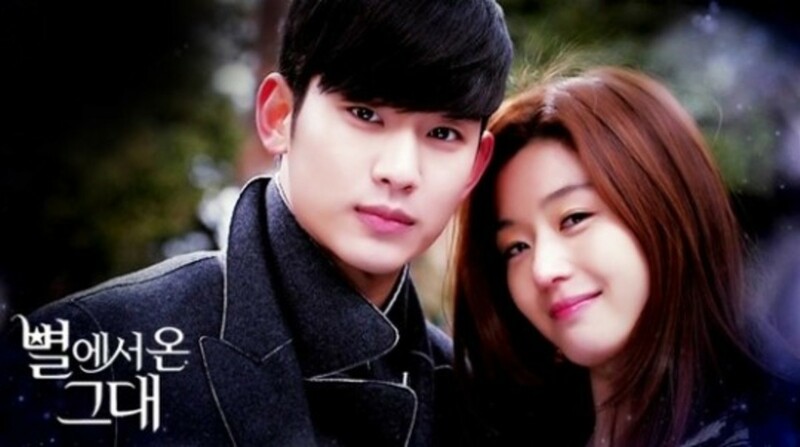 After the filming of The Uninvited, she lost 20 pounds and was forced to take a short break from acting. At one point during production, someone suggested to Russell that she try alcohol to calm her nerves. Alcohol proved to be more of a poison than a cure for what ailed the young actress. Actor John Wayne spent his first nine years in Hollywood making low-budget "horse operas." 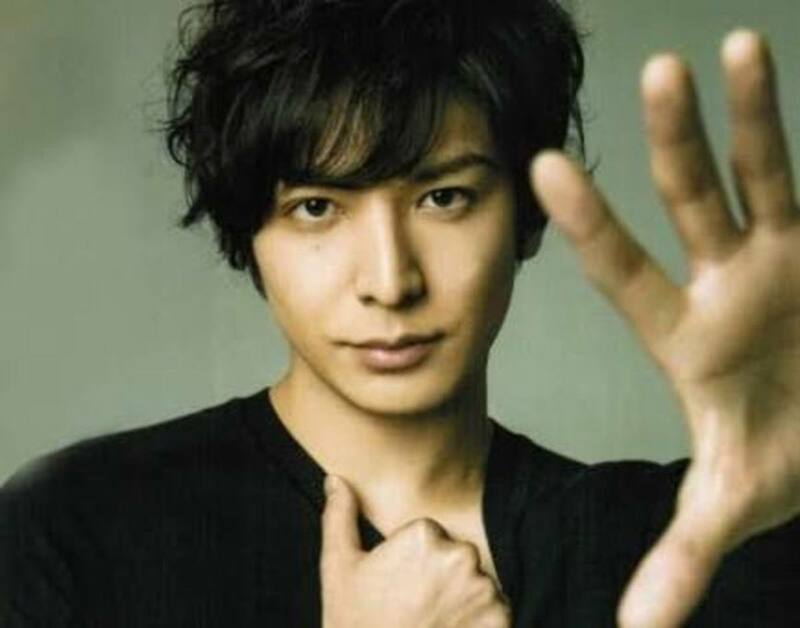 Although his name was not well-known, his face was certainly familiar--he made nearly 80 films in nine years. 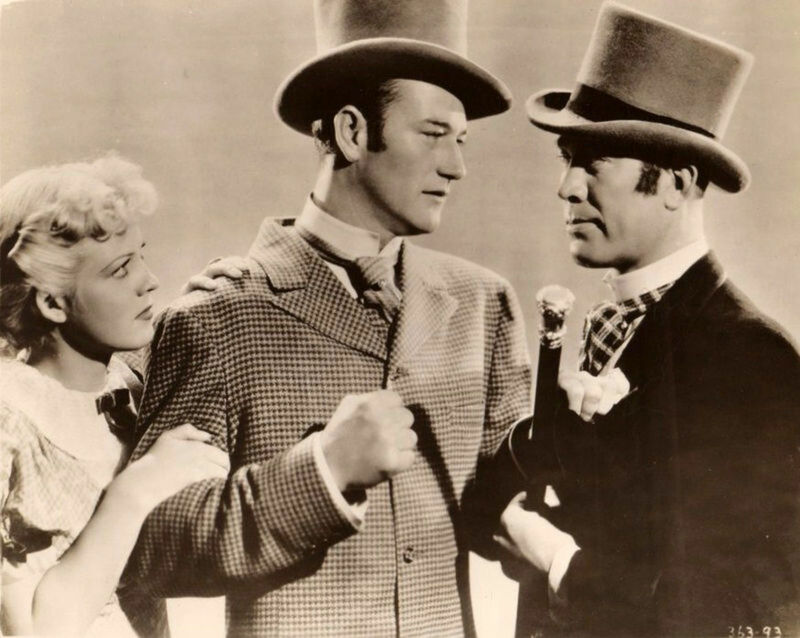 His big break came in 1939 with John Ford's Stagecoach. 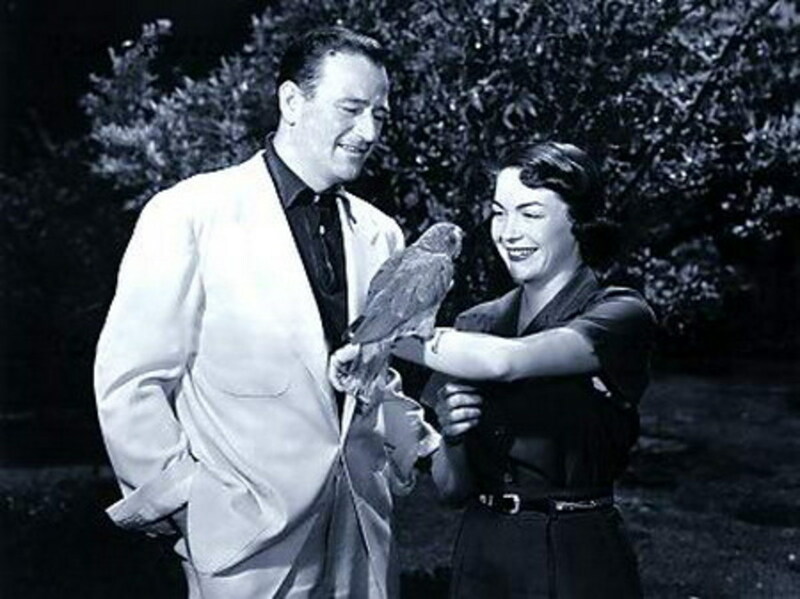 Wayne was an "overnight sensation," equally desirable to movie studios and women. 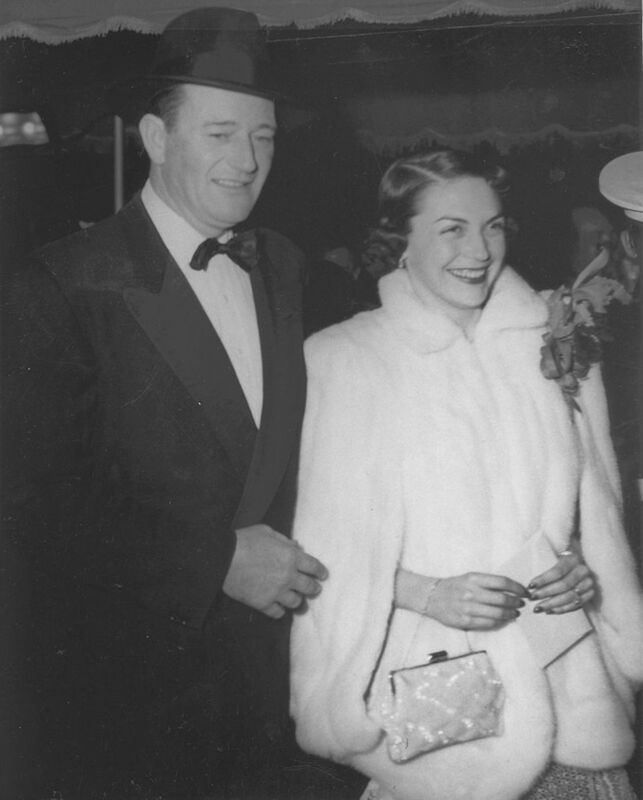 In the biography Duke, Ronald L. Davis quotes director Budd Boetticher as saying that Wayne was "a one-woman man," but Wayne was only married to one woman in 1941--Josephine Alicia Saenz. Wayne and Saenz were married on June 24, 1933 and had four children. However, according to his biography it was rumored that Wayne was intimately involved with at least three women in 1941. In 1940, Wayne made Seven Sinners with Marlene Dietrich. He also started a two-year, very public affair with Dietrich. They appeared together at the Mocambo, the Trocadero and other places frequented by Hollywood stars and paparazzi. The affair with Dietrich ended sometime early in 1942 - he was still seeing Dietrich when The Spoilers was released - but Wayne's affair with Esperanza "Chata" Bauer started in October of 1941. Wayne moved out of his family home in 1942, and Josephine Alicia Saenz, embarrassed by her husband's public affairs, appeared in court on June 4, 1943, to ask for a legal separation. In the fall of 1941, John Wayne traveled to Mexico with his business manager and a few friends to discuss the purchase of a motion picture studio. Ray Milland introduced Wayne to Bauer, who claimed to be an actress, but Wayne's third wife, Pilar, claimed Bauer was a "high-class call girl." Wayne, however, was entranced by the curvaceous Bauer, and while he was in Mexico, they were inseparable. In 1942, Wayne left Saenz and Bauer moved from Mexico to Hollywood. Wayne and Bauer shared a penthouse apartment on Sunset Boulevard. Reluctantly, Josephine Alicia Saenz filed for divorce from her husband. The divorce was finalized on December 25, 1945, a painful Christmas present. Wayne and Bauer were married on January 17, 1946. Gossip columnist Hedda Hopper described Bauer as a "comely Mexican actress who John Wayne knew only a few short months before the wedding." In 1946, for the first time, Wayne had the opportunity to produce his own film. He chose Angel and the Badman, a romance about a gunman taken in by a Quaker family. Wayne plays the lead in the film, and the actress he chose for his character's love interest was the delicate and sensitive Russell. 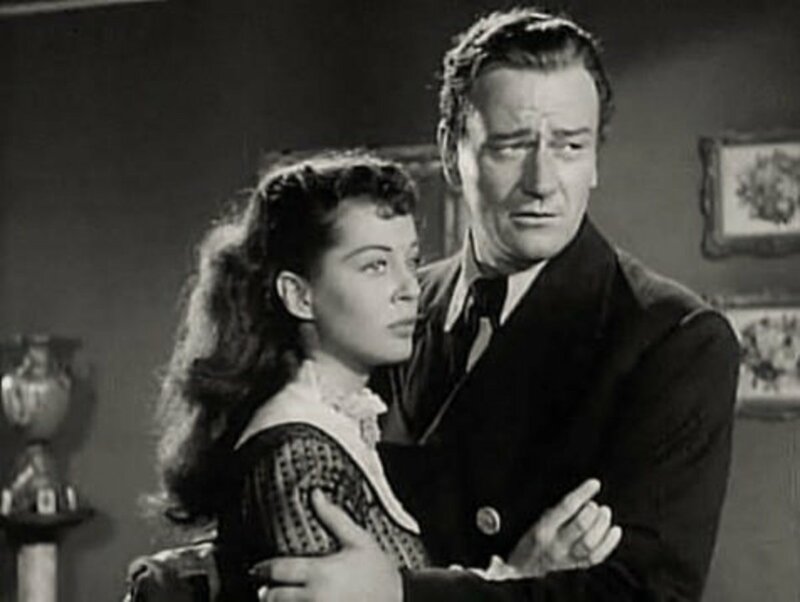 According to Michael Munn's biography John Wayne: The Man Behind the Myth, by the time filming began in 1946, Chata Bauer was already frustrated and angry about the amount of time she was spending alone. Wayne found himself equally irritable, primarily due to the stress of trying to both produce and star in a film. The tension between Bauer and Wayne worsened when Bauer first set eyes on Russell. By this time, Russell was 23-years-old with eight major movie roles on her resume. Four of these films were nominated for Oscars, drawing a tremendous amount of attention to the young star and sparking a jealous rage in the neglected Bauer who accused her husband of having an affair with Russell. Her concerns were not exaggerated. Wayne admitted to spending an unusual amount of time alone with Russell in her dressing room. He said he felt protective of Russell because she suffered from anxiety, claiming he also had anxiety in his younger years. Michael Munn quotes Wayne defending his relationship with Russell in a rather provocative statement, saying, "You know the old casting couch? She'd been there a number of times. Well, it didn't happen with me. I gave her a part on her own merits." When the production of Angel and the Badman was complete, Wayne held a cast party at Eaton's Restaurant. Invitations included cast and crew only - no spouses - which did little to discourage Bauer's suspicions. 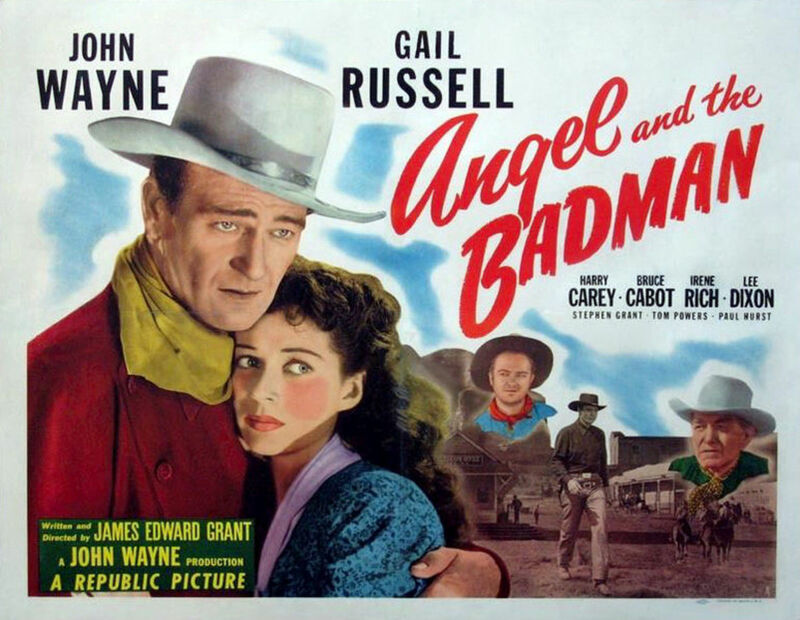 According to Roberts and Olson's John Wayne: American, everyone involved with Angel and the Badman was convinced the film would be a success and partied heavily. When the party ended, the group decided to celebrate at another bar, taking two cars. Although he was admittedly very drunk, Wayne said he would drive Russell to her parent's apartment. Wayne and Russell later said they were separated from the rest of the group, searched for their friends at a few bars, then stopped in Santa Monica for more food, which made little sense as Wayne also said his original intention was to simply drive her home. At their divorce trial, Bauer claimed that her husband had promised to come home early for a private dinner, but she was suspicious all along that he would never arrive because she knew he would get drunk that night. When he failed to come home, Bauer called the first restaurant, Eaton's, and was told the party left hours earlier. In Santa Monica, Wayne and Russell stopped to speak with a few of Wayne's friends. They also found a street artist who made a sketch of Russell. Sitting with her mother at home, and growing increasingly angry, Bauer continued making phone calls. First, she called the production assistant, Al Silverman, the designated driver for the evening. Bauer claimed that Silverman's wife gave her the phone number for a hotel, but the person she reached at the hotel told her that no one from the party had arrived that night. It was close to midnight by the time Wayne and Russell reached the Russell's apartment, and Wayne was no longer sober enough, by anyone's definition, to drive a car. Nevertheless, he had more drinks with Russell's mother and brother while waiting for a taxi, which arrived around one in the morning. By this time, Wayne was so drunk that Russell's brother had to help him into the cab. 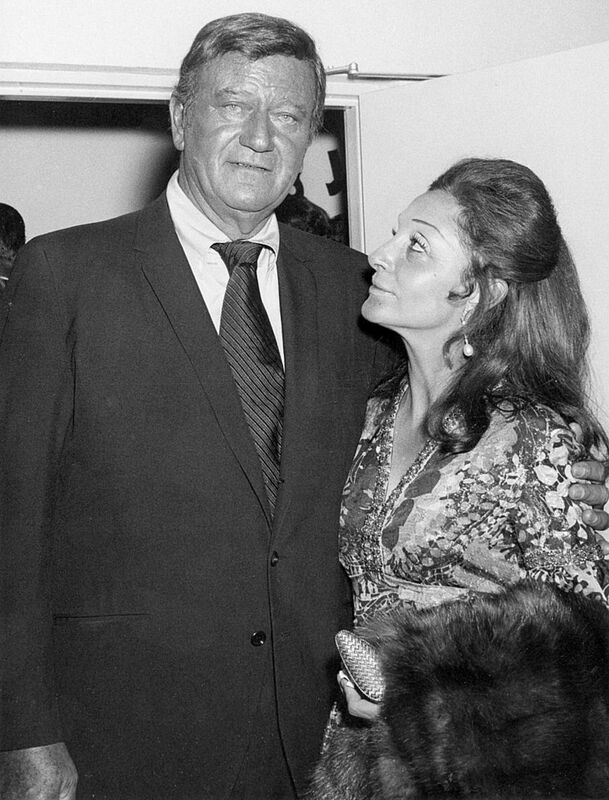 In her book, John Wayne, My Father, Aissa Wayne claims that her father arrived home to discover he was locked out, but he could hear Bauer, and Bauer's mother, talking inside. He rang the door bell, but no one answered. He broke the window, reached inside, and opened the door himself. Aissa Wayne wrote that her father later explained at the divorce trial, "Chata and her mother, they came charging out. Chata had a forty-five in her hand. She and her mother were fighting over it." Bauer testified that she woke up around six in the morning to the sound of breaking glass and reached for the gun, then crept down the hall in the dark. She said she didn't recognize her husband sleeping on the couch and pointed the gun at his head because she thought he was an intruder. Wayne and Bauer left for Hawaii in December of 1946 for a belated honeymoon and returned to discover Bauer's mother had moved into their home. In 1948, Wayne again chose Russell to play his love interest in the drama Wake of the Red Witch. According to Michael Munn, Bauer's mother convinced Bauer that actors could only perform love scenes together "if they truly felt love for each other." Shortly after filming began, Bauer discovered that her husband loaned money to Russell so Russell could buy a car. Bauer's jealousy increased tremendously, as did the drinking and violence between the couple. It was the beginning of the end for Wayne and Bauer. According to Michael Munn, in the summer of 1952, Wayne flew to the Peruvian jungle with a friend and watched actress Pilar Palette dance barefoot around a fire for a scene in the film Green Hell. Wayne was, again, in love, this time with his future third wife. 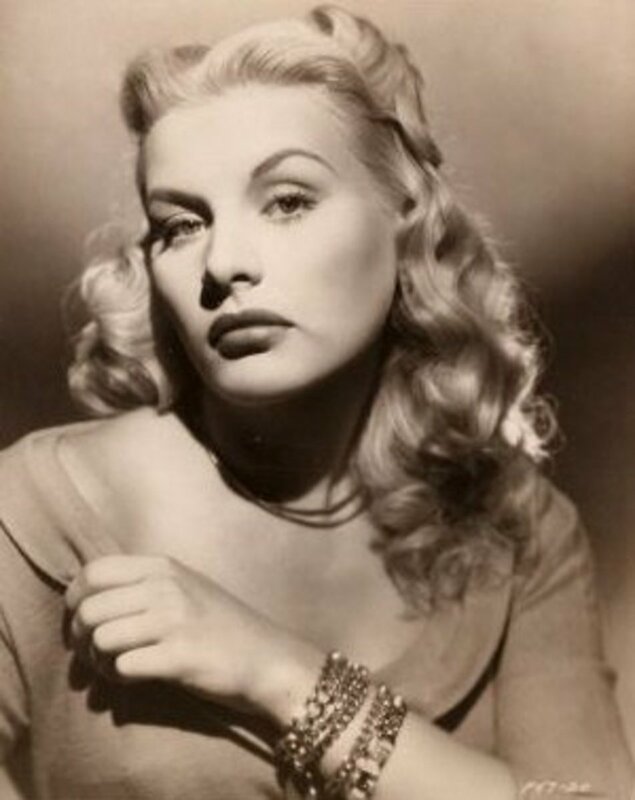 Wayne and Bauer both filed for divorce in 1953--she beat him to the courthouse by 30 minutes, charged him with physical abuse, mental cruelty, and an affair with Russell, then hired a private investigator to catch him with Pilar Palette. The divorce trial started in October. Russell was called to testify. At this point, her problems with alcohol were widely-publicized. She was arrested numerous times for drunk driving. She nearly collapsed from the stress of testifying in Bauer VS. Wayne, but maintained throughout the trial that she never, at any time, had an affair with Wayne. Wayne never wavered in his claim that he did not have an affair with Russell, though he often used the excuse that he considered her to be an innocent child, an odd comment considering Bauer and Russell were the same age. The trial lasted three days before a settlement was reached. Wayne was ordered to pay Bauer $150,000, and $50,000 a year for the next six years. He later spoke with gossip columnist Hedda Hopper about his marriage to Bauer, saying, "We had a pretty good time together, when she wasn't trying to kill me!" Wayne's alimony obligations did not last long. One year after their divorce, in 1954, Esperanza "Chata" Bauer died alone, in her apartment, from an alcohol-induced heart attack. According to a news article reprinted in the Los Angeles Times, Gail Russell once told Hedda Hopper, "I've learned you can't satisfy everyone. You start, and then, all of a sudden, it stops, and you can't even please yourself." On August 27, 1961, Gail Russell also died alone, in her apartment, from an alcohol-induced heart attack. Davis, Ronald L. Duke: The Life and Image of John Wayne.University of Oklahoma Press. Norman, Oklahoma: 1998. Harnisch, Larry. “Gail Russell-In Memorium.” Los Angeles Times/The Daily Mirror: July 5, 2007. Retrieved on May 10, 2011. Munn, Michael. John Wayne: The Man Behind the Myth. New American Library. New York: 2005. Roberts, Randy, and Olson, James. John Wayne: American. Simon & Schuster. New York: 1995. Wayne, Aissa. John Wayne, My Father. Random House. New York: 1991.